Here's A Running List Of Comments From Public Agencies On Elon Musk's 'Verbal Govt Approval' To Build A Hyperloop From NYC To D.C.
Elon Musk awoke on Thursday with the intention of sending Twitter into a frenzy by declaring that he received “verbal govt approval” to build a Hyperloop in the densest part of the United States, between New York City, Philadelphia, Baltimore, and Washington D.C. This is dumb, it’s not how things work, and requires, uh, actual government approval. We reached out to the, uh, actual government to see if this is legit. But who knows! Electrek already sort of declared this a done deal, so maybe I really am just a cynical hag. Maybe—maybe!!! !—Elon’s had this in the works for months, and this isn’t a literal pipe dream. I don’t have anything on that. I’d have to check with somebody here. No, we are not aware of it. And I don’t know if we have a comment on that. But I can check on that for you. This is not related to Metro, which provides local transportation services in the National Capital Region, not inter-city transportation. As such, we do not have a reaction for you. Thanks for your email. I will be out of the office on Thursday, July 20, returning on Monday, July 31. I will respond to your message at that time ... Thanks and enjoy your day! We have had promising conversations to date, are committed to transformative infrastructure projects, and believe our greatest solutions have often come from the ingenuity and drive of the private sector. Mayors For NY, Philly, Baltimore, and D.C.
Update, 1:42 p.m.: I reached out to the mayors of each community Musk mentioned, but none have responded just yet. 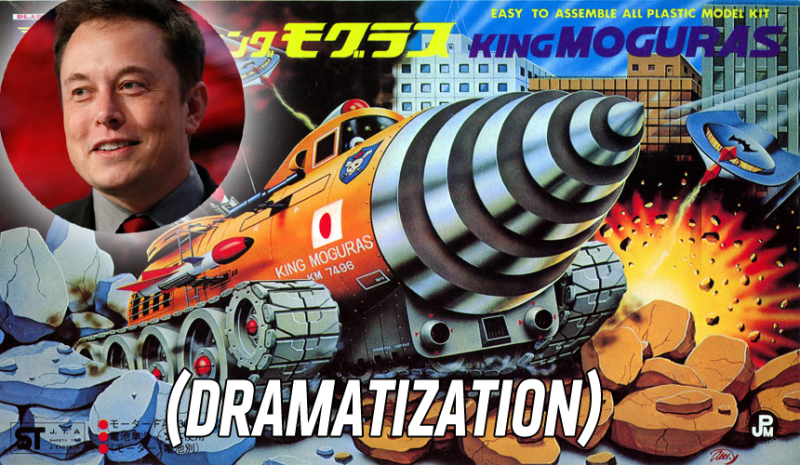 Elon Musk has had no contact with Philadelphia officials on this matter. There are numerous hurdles for this unproven “hyperloop” technology before it can become reality. This is the first we heard of it too, but we can’t wait to hear more. A reporter for the BBC suggested to Musk that it would seem “premature to announce” the project with only a verbal agreement, which is how things normally work. Maybe, the reporter asked, you’re just trying to drum up support? Indeed! We need better transit infrastructure in this country, no doubt. But using a bullhorn to suggest you’ve received approval—of some sort—to build a project that’s centered around a futuristic transit system that hasn’t even been tested at a large scale yet is insane. Do You Need Any Help Filling Out Some Forms, Elon?